Dr. Sarah Harding was a biologist working in Africa. She briefly dated Ian Malcolm, was the role model of Kelly Curtis, and was later one of the people to go to Isla Sorna to study the dinosaurs. However, she was unprepared for the trip and was only able to get to the island on a boat with Lewis Dodgson. Harding talked with Dodgson, telling him she had left Africa quickly and no one knew she was going to Sorna, while Dodgson did not want anyone knowing about his being on the island. As a result, he pushed Harding overboard, thinking her dead. She survived, however, and washed up on a river bank on the island. She woke up to find a Stegosaurus, thus learning of the existance of dinosaurs. She began a difficult journey to find Ian Malcolm and the rest of his group, eventually being found. 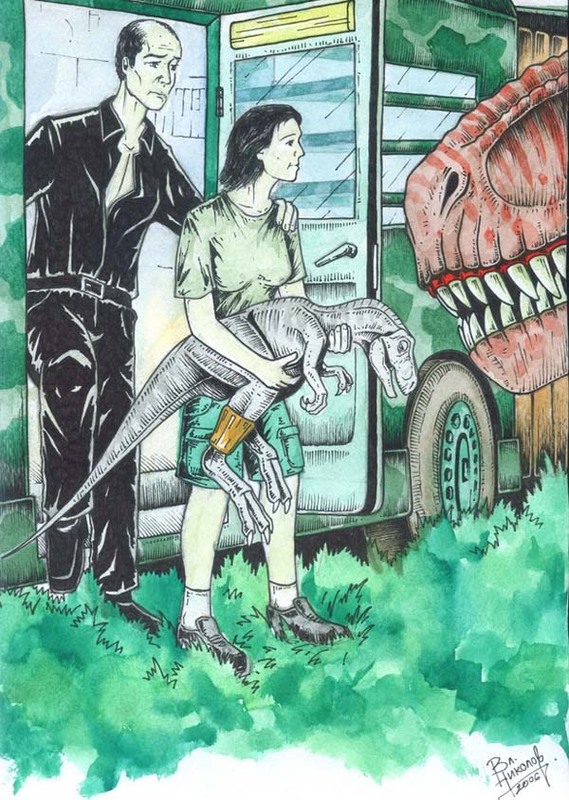 She accompanied Malcolm, Jack Thorne, and Eddie Carr to the Tyrannosaurus rex nest, and was the one that told Carr to kill the infant rex with the broken leg. Later, when Carr brought the infant back to the trailers, Harding worked to secure its broken leg in a cast and successfully rescued the infant. She, along with Malcolm, were then attacked by the rex parents in the trailers, and rescued Malcolm and later Thorne by climbing up the bottom of the trailers to the top of the cliff. She attempted to heal Malcolm’s injured leg after the attack. She also chased down a Velociraptor on a motorcycle with Kelly in order to retrieve the key stuck in its mouth. After the raptor attack, she brought Malcolm and Kelly to the worker village and tended to Arby’s injuries. She helped Richard Levine rescue Thorne from a pair of Carnotaurus when Thorne left the safety of the shed to look for gas. She was also able to secure the electric car and try to signal the helicopter, though she failed in the attempt. Harding escaped the island alive on a boat. It is unknown is she bears any family ties to Dr. Gerry Harding; although she does mention that her father, like Gerry Harding, was a veterinarian.